It’s really happening. The instructional use of SmartSite will end when spring term concludes in June. “As planned, SmartSite will no longer be an active learning management system once spring quarter ends, without exceptions,” said David Levin, director of Academic Technology Services (ATS) in Information and Educational Technology. The campus chose UC Davis Canvas in early 2016, and designated 2016-17 for the transition. Instructional technologists and other members of the transition team in ATS have spent the last year helping faculty and students adopt the new system, using an array of workshops, training sessions, online resources, drop-in hours, in-person assistance, faculty-led video tutorials, presentations, and a Canvas help line that never closes. All these resources continue to be available. SmartSite will remain available for project sites until sometime in 2017-18, to allow project site owners time to find replacement tools or resources. Materials in SmartSite course sites will be available only in an archival format after this spring. Read more about the “Move to Canvas” in this quarterly update. The UC Davis community came out in force last week to give blood in the quarterly collection event on the Quad. BloodSource reported it collected 912 pints, which “is incredible and pretty normal for this campus,” said Felicia LaMothe, a donor recruitment representative. The three-day collection surpassed last April’s three-day collection by 49 pints. BloodSource tallied more than 1,200 participants in all last week (not everyone is able to complete the process). The total included more than 300 first-time donors. Forty-nine people signed up for the Be the Match bone marrow registry. In a recent week, donated blood was used locally to help patients undergoing treatment for cancer, anemia, spinal fusion, trauma and more, LaMothe said. Monday-Thursday — 7 a.m.-5 p.m.
Friday — 7 a.m.-3 p.m. 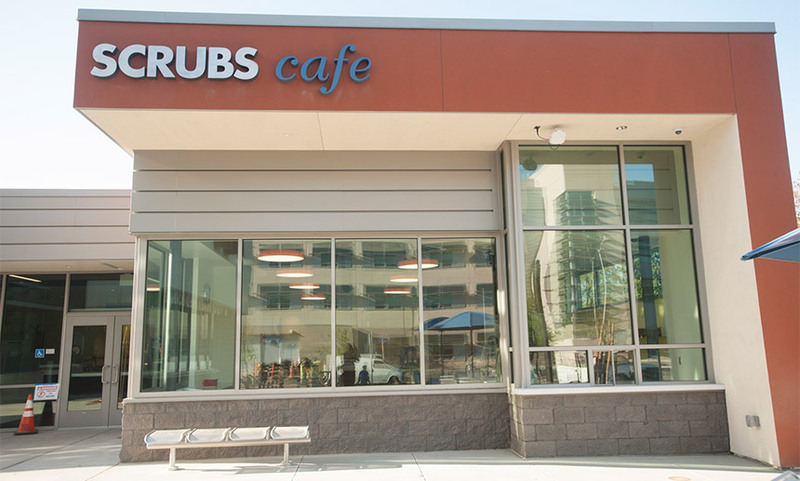 The new Scrubs Café opens Wednesday (April 19) in the Health Sciences District. The café is moving from Medical Sciences 1B to the new Veterinary Medicine Student Services and Administration Center, on Garrod Drive across from the Veterinary Medical Teaching Hospital. The café’s menu will include cooked-to-order items, grab-and-go choices, snacks, and a variety of hot and cold beverages. The new Scrubs has a bigger dining area to provide space for informal networking, and the outdoor patio can be reset for special events. A new feature: a walk-up window for veterinary hospital clients and others who have pets in tow. TechHub at the Campus Store is having a one-day Apple computer sale, this Friday (April 21), offering savings up to $200 on select Macs and iPads (current models, while supplies last). UC Davis Stores, which runs the Campus Store and the TechHub, announced that this week’s Apple sale will be the last one of this academic year. Save time and avoid the lines with an online preorder. For payment and pickup, visit the TechHub inside the Campus Store at the Memorial Union. See the TechHub’s selection of Apple products.